Long Stems is an award-winning, family owned and operated florist proudly serving Philadelphia and the Main Line since 1986. We are a two-time Philadelphia Magazine "Best of Philly" award winner, and have received numerous accolades from both local and national magazines, news organizations, and websites for our services. Delivering only the highest-quality flowers daily throughout the tri-state area from our location in Merion Station, Pennsylvania, we are committed to offering only the finest floral arrangements and gifts. We back our exceptional designs with friendly, prompt service, and are dedicated to making every customer's experience a pleasant one. We will always go the extra mile to ensure that each and every floral gift and event is perfect. Let Long Stems be your first choice for flowers! At Long Stems, we believe that there is something inherently personal and extraordinary about flowers. They have come to signify an endless array of sentiments and occasions, and hold significance in nearly every life experience. Whether used to express feelings of love, jubilation, thanks, care, or condolences, flowers have become an enduring source of beauty and emotion in our lives. Our unique approach to designing stems from a deep appreciation for the life of each flower and plant, a horticultural background that not only makes our staff highly knowledgeable, but also allows us to find more unusual seasonal selections. Your Long Stems arrangements will always be distinctive and exceptional, and with our gracious and easygoing family farmers market atmosphere, you will not only enjoy your flowers, but the entire process along the way. 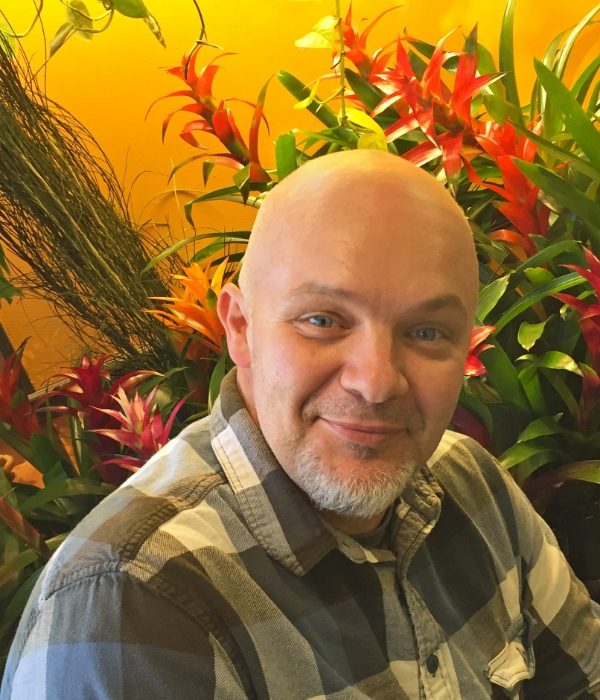 Keith has had a lifelong passion for flowers and plants, and for creating one-of-a-kind designs with interesting materials. 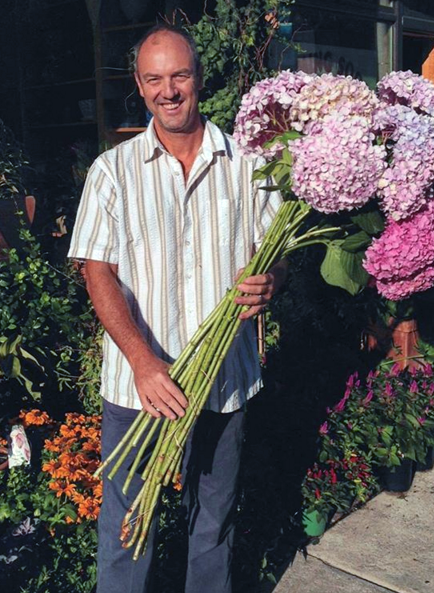 An avid gardener and outdoorsman, he received his Bachelors of Science degree in Horticulture and Agribusiness Management from Pennsylvania State University in 1990, and has been the owner of Long Stems since 1998. Serving the community since 1986, Keith has developed countless relationships with customers and businesses that trust his unique eye for design and professionalism. Read what our customers have to say about Long Stems and Keith's excellent work on our REVIEWS page. Keith has been happily married to his wife, Anne, since 1990 and is the proud father of 3 boys. He is a dedicated fisherman, and you can often find him outside working in his home garden and koi pond. Keith's son Mason grew up at Long Stems, and is now one of our most talented designers - you can see many of his awesome designs in our online store. Outside of work, you can often finding him acing the latest video game or working on writing his first fictional fantasy novel. Miriam appeared one day in a patch of kale out front of our store, and she's been belting a cappella tunes in the flower cooler ever since. With a certificate in floral design from Temple University, her organizational skills and unconventional sense of humor keep us orderly and in good spirits. An avid (Harry) Potter-head, you can follow Mir's flower photos on Instagram @dearly.eerie. Kathi has decades of experience in the floral business, and her excellent memory, attention-to-detail, and quick sense of humor makes each customer feel special. When she's not spending time with family and friends, she enjoys attending church, dining out around town, and traveling. 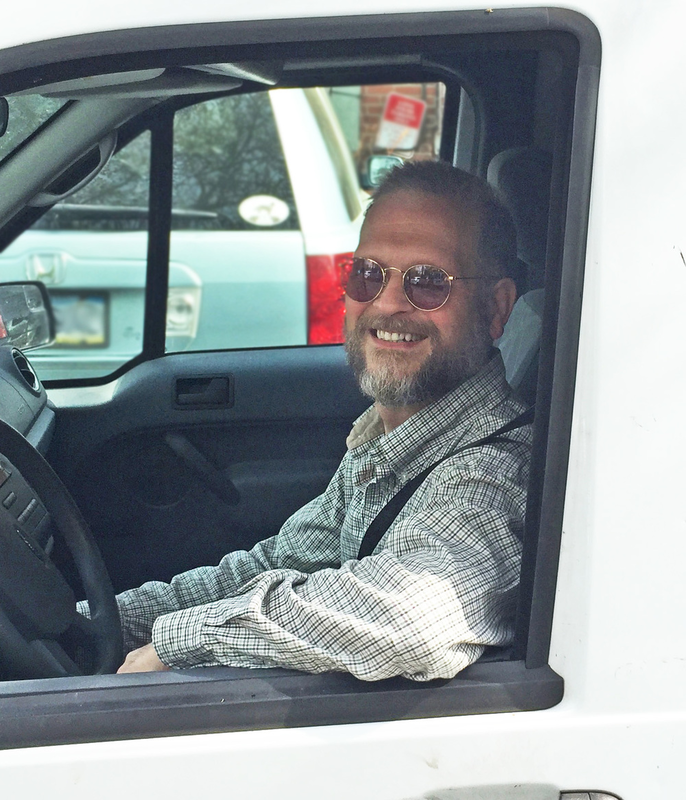 You may have seen Kevin, Long Stems' delivery man, driving by in our bright white van or delivering a breathtaking arrangement to your door. He also happens to be a very talented artist with a wide variety of interests and hobbies, including music and travel. Besides being a wonderfully gifted designer, Keith's friendly brother Pat is an avid fisherman, bicyclist, and hiker with an appreciation for all genres of music. He and his wife have two children, and they love snowboarding and spending time outdoors as a family. Vivacious and fun-loving Iva is a veteran of the Long Stems family. Now a proud mom of two boys and a yoga teacher for children, you'll find her helping out, making awesome arrangements in our shop during our busiest times of the year. You might also spot her showing off her stage talents at local Philadelphia variety shows! Keith's wife Anne is always a source of light and laughter when she's in the shop helping with flowers and deliveries. In addition to being a mother to 3 sons, 3 dogs, and 3 cats, she is a caring animal lover and family woman with a love for the beach. She'd never brag, but she sings like an angel, too! Since working at Long Stems, Christina has earned her Masters Degree at the University of Pennsylvania, where she now works, but she is always willing to help out at the shop when we need her. A friendly world-traveller who loves the outdoors, she has a knack for photography as well as floral design.